If you were online in tech circles last week, you couldn't miss the fact that last Friday was the 30th anniversary of the Mac. News sites and bloggers posted zillions of stories about the anniversary, and there was a big event at Flint Center, the site of the original announcement. More surprising was that Apple itself celebrated the birthday. Apple is not noted for looking back. But this time, there was an extensive public website. 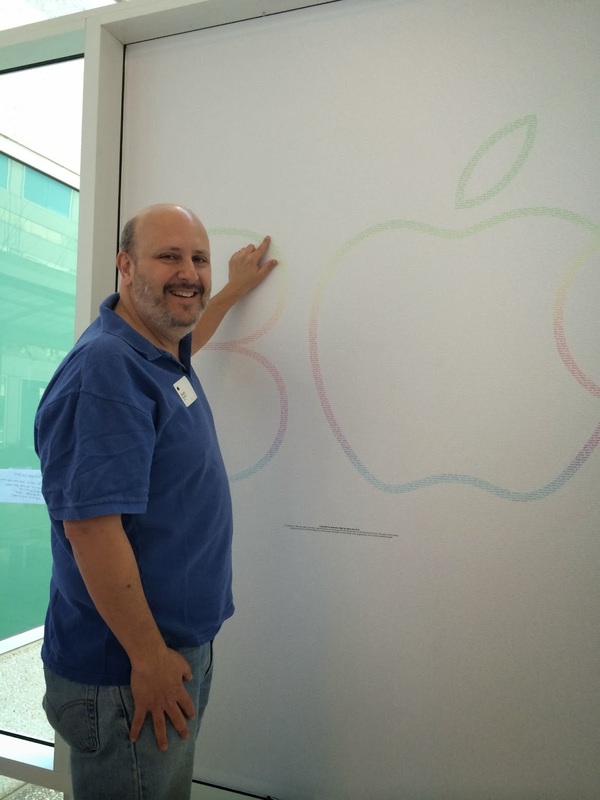 And on campus, Apple had a party for employees, complete with t-shirts for all. A promise to everyone, kept by every one of us. 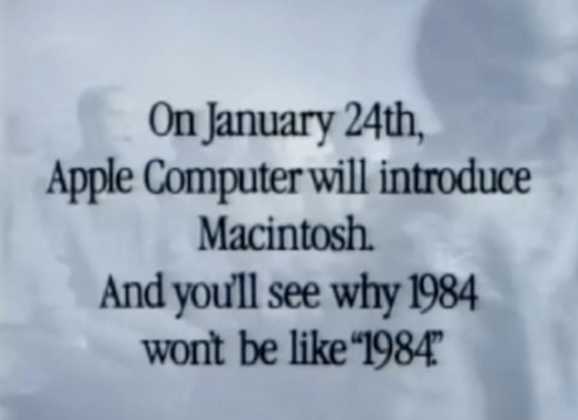 On January 24, 1984, we made a promise to take the power of technology from the few and put it in the hands of many. This series of ten posters recognizes all those who have helped turn that promise into reality. In other words, every single person who has ever worked at Apple. The names are in order of employee number. Combining that with the tiny type and the gray-on-white text, it's really hard to find a particular name. But Apple employees are smart and have come up with some clever hacks to narrow down where to look. The first poster is the most interesting to me because it covers the time I worked there. Actually, because it contains 16,000 names, it probably covers the first 15 years or so of Apple. 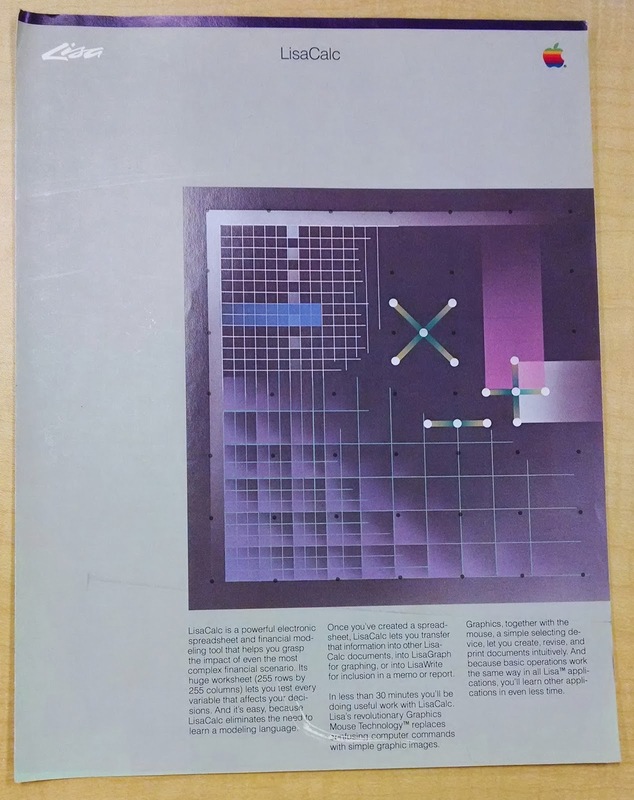 There are 10 posters total, which suggests how fast Apple has grown since then. The posters are not in a public place, which means you can't see them unless you know someone who works there and you pay them a visit. I did that and spent some time staring at poster #1. After a while I found my name. In 2004 Andy Hertzfeld was building Folklore.org, his amazing now-famous website devoted to first-person stories of the earliest days of the Mac. Andy was writing one of the key stories of the saga, the one about the day of the Mac's public unveiling. I mentioned to Andy that I had a video of the intro, and he was welcome to watch it to spur his memory of the great day. So Andy came over, we watched the video, he took notes, and wrote his story. In the comments Andy was kind enough to thank me for showing him the video. Andy's telling of one of the most important moments in computing history was riveting. Right away, people were interested in seeing the video. I recorded the video over the air in 1984 from a public TV station that rebroadcast the event. 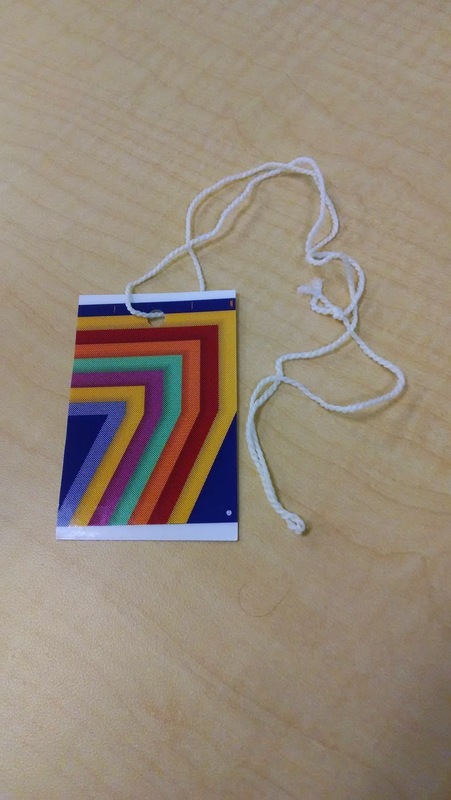 Then it sat on a shelf for awhile - OK, for 20 years - until it apparently became something rare. After a few days I did actually hear from someone who wanted to digitize the ancient video. He was a video producer in Germany who went by the name majo. This guy had a website with a bunch of Mac stuff and other things. majo promised to digitize the video and post it for anyone to watch and copy (this was before YouTube). For some reason, despite the fact that I had never met him and he was 5000 miles away, I decided to trust him. I put the precious videotape in a mailer and shipped it off to majo in Germany. majo struggled with the terrible quality of the video. Not only was it 20 years old, it was a low-quality home format, and the original show had not been properly lit for video recording. Still, he did a fine job and extracted the most important segment: Steve Jobs revealing the Mac. On January 24, 2005, Majo posted the video on his site for the Mac's 21st birthday. The traffic was overwhelming. To watch, you had to download the 20MB file, and majo's site soon crashed. We were SlashDotted, kottke.orged, and etc. He begged for mirror sites, and a bunch of other people helped out. I wrote a blog post about the video. I watched the comments come in from around the world as people woke up and discovered the "lost" video (that I didn't realize had been lost). The comments show how excited people were to discover the video, and how eager they were to help by mirroring it. It was a pretty cool day. A more accurate credit would have been "Recorded in January 1984 and kept on a shelf in the family room by Scott Knaster". But this was OK too. Three weeks later, as if on cue, YouTube was founded. In the months following, majo extracted and digitized other clips from the Mac intro. I assume those have made their way to YouTube also. The full video is available, and you can watch if you have 1.5 hours. As the Mac's 30th anniversary approached, I started to wonder whatever happened to majo, and whether he had digitized any more clips. I went to his old site, but it seemed long-dormant. After some further digging I found sad news: majo died in 2010. I never did meet him, but he's the one who really got this video out into the world. All I did was neglect to get rid of an old videotape. Thanks, majo. And happy 30th birthday, Macintosh! This is probably familiar to you. Yeah, everybody knows that. 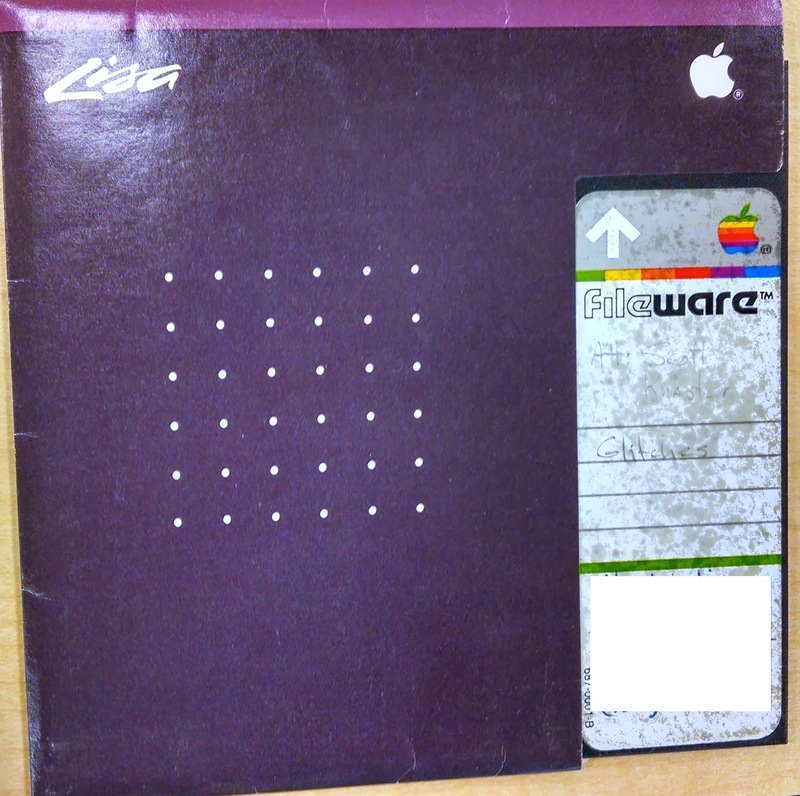 But did you know that just one year earlier, on January 19th, 1983, Apple introduced the Lisa? 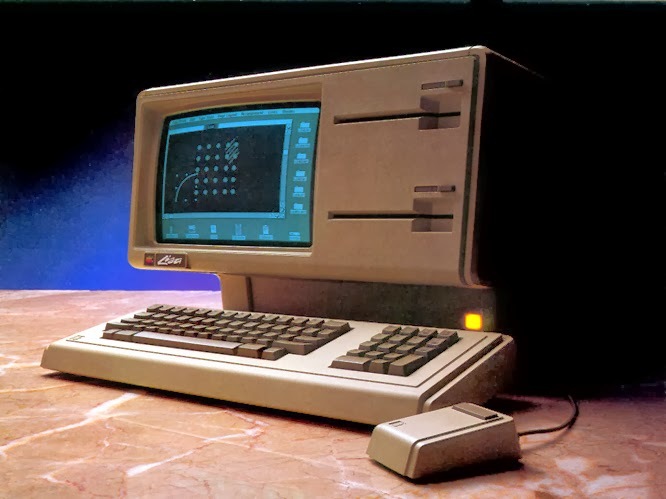 You might know that Lisa was Apple's first computer with a graphical user interface. It was pretty cool but cost $10,000 and was a little ahead of its time. Steve Jobs code-named Lisa for his daughter, but nobody acknowledged that at the time. Instead, Apple told people it was an acronym for "Local Integrated System Architecture". Folks who know better decided it really meant "Let's invent some acronym". 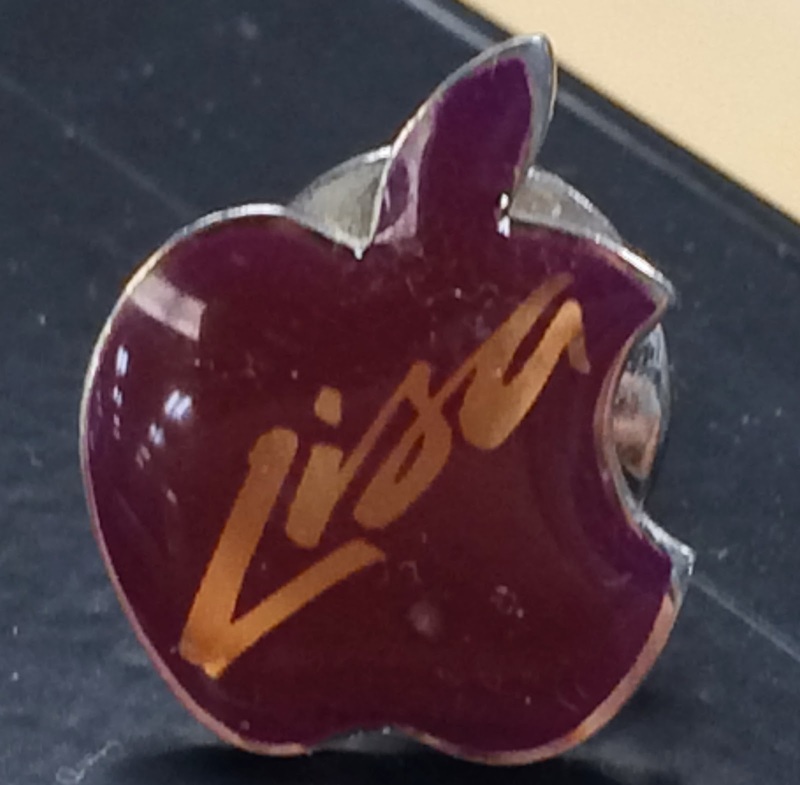 My first-ever job at Apple was Lisa telephone tech support. It was a great job: there were so few customers, and the applications were so easy to use, that I soon learned pretty much everything there was to know about the software and had spare time to learn about how you programmed it. I could even take the computer apart and put it back together (no tools!). The highlight of this job was the day Herbie Hancock called for support. Wow! For awhile I worked the 3 am to 10 am shift. I was 23 years old and this sounded great! My plan was to get up at 2, go to work, then go home and stay up until I got tired, then go to sleep. After 3 days of this I was running a major sleep deficit. On the 4th day, I went home and fell asleep about noon. A few hours later, a 6.5 magnitude earthquake woke me up. Panicked, I jumped out of bed and twisted my ankle, thus becoming an earthquake casualty. My sleep was wrecked for the rest of the week and I soon gave up the graveyard shift. 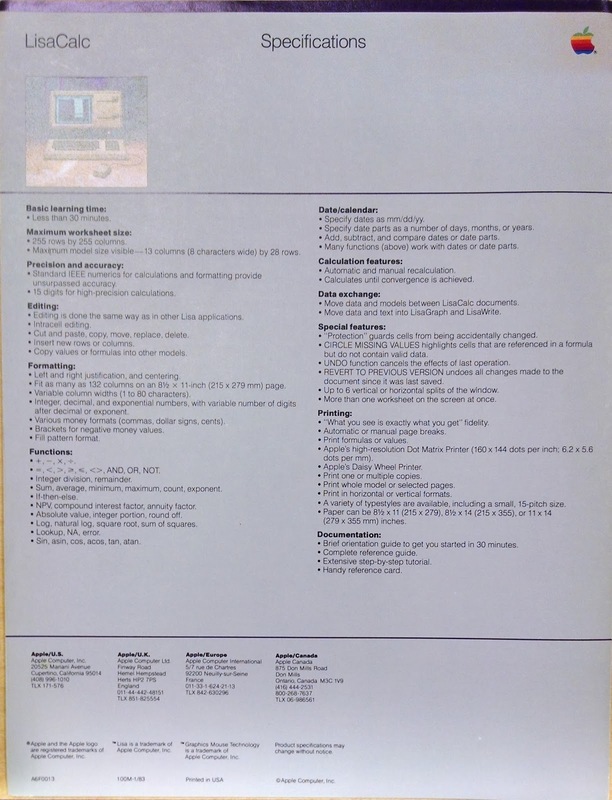 LisaCalc specs. Note the first feature: "Basic learning time, less than 30 minutes"
LisaWrite was my favorite. 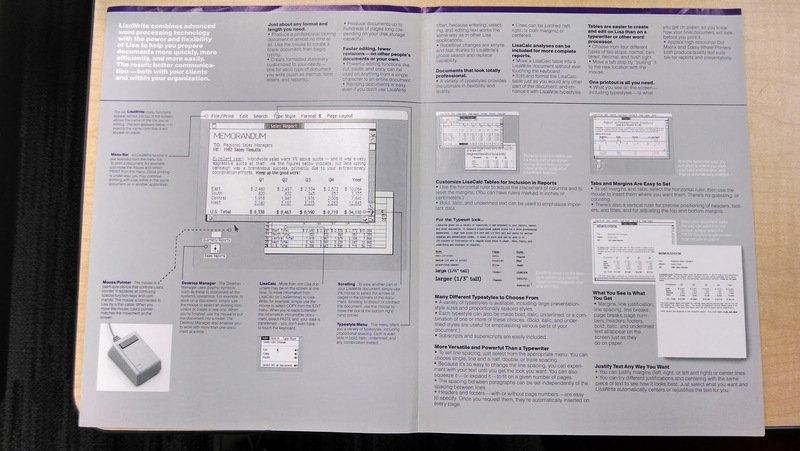 It went a long way toward WYSIWYG. In the 1990s I worked at General Magic, an extremely ambitious startup that began as a project inside Apple and then became its own company. The people at General Magic wanted to make portable touch-screen personal communicators that could send and receive beautiful notes called telecards, provide access to online shopping, and make phone calls. 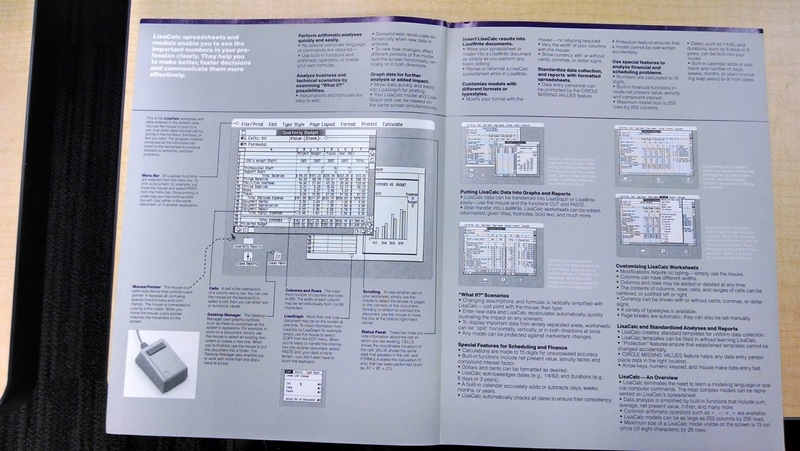 It was sort of like trying to make an iPhone in 1993. After a few years of work it was time to show off our prototype software (called Magic Cap) and hardware. We had a super funky venue: the Digital Be-In, a psychedelic San Francisco tradition that was a cross between a rave and a trade show. We set up our booth next to a few others, right beside the massive light show and huge stage, and the party started. People were surprisingly cool about seeing neat tech that bumped up against the dance floor. The drugs probably helped. Small devices were pretty novel back then. One of our best tricks involved faxing, a very old technology with a new twist. We asked people for their fax numbers, then had them send a fax to themselves from our small devices. This wasn't wireless yet - each device was connected to a landline - but it was still cool and helped people feel connected to what was possible. Of course, we could also send email, but not everybody had an email address, especially in this crowd. 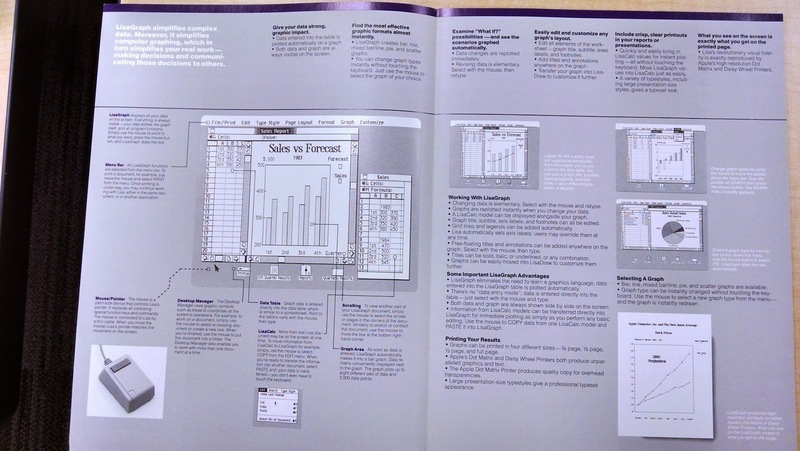 We also showed an early version of a map program. We asked people their addresses, then called up a map and asked "Is this your neighborhood?" like a card trick. They loved it. I got to demo that one for Timothy Leary, which was one of the highlights of the night for me. Then after a few hours of this, a funny thing happened: the power in the venue went out. The music and lights stopped, and most of the other booths were dead. But we had battery-operated devices. So we could still give demos, plus show how great it was to not depend on AC power. Of course, it wasn't that great - our displays had no backlights, so you could barely see the screen. Oh well. Eventually the power came back on and the music resumed. Finally the party ended. I suddenly realized I had been showing off our stuff for 7 hours without a break. There was so much in the software, and it had mostly been a secret for so long, that I was thrilled to share it with people.